Ahhhh, Spring. Don't you love it?? I sure do! In the Fall, I say ahhh, Fall, my favorite time of year. And, then Spring comes along and I say ahhh, Spring, my favorite time of year. I'm very fickle, as it were. 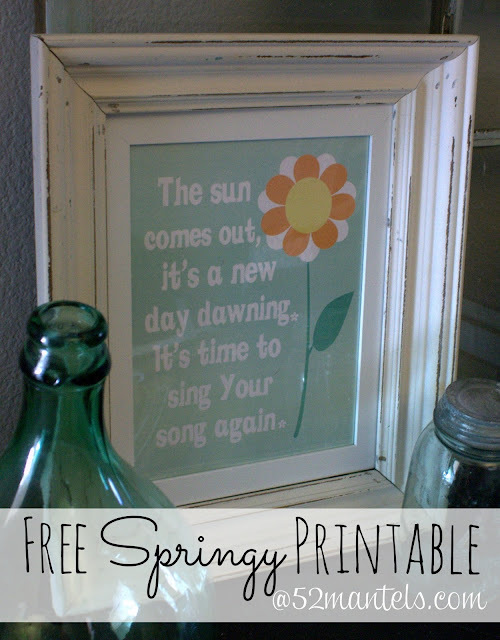 Today, to celebrate Spring, I've got a very Spring-feeling free printable for you. Have you heard the song 10,000 Reasons by Matt Redman? It's a beautiful song and I love the lyric I chose for this printable. 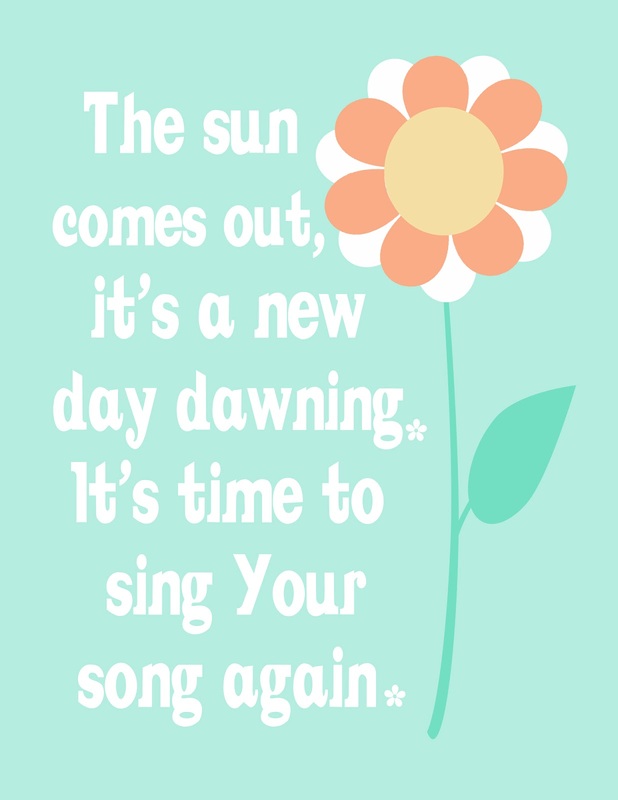 It's a great reminder to sing God's praises with every new day, isn't it? To print, right click and save to your computer. OR, open it in this google doc and print. HANDY TIP: Did you know that you can send documents to FedEx/Kinkos through the cloud and print them from their self-serve printers?? True statement! Simply open this google doc, hit "print" and when given the option, choose "Print to FedEx Office". After which you'll be given an 8 digit number to enter into the printer at FedEx/Kinkos. SO SO simple! It cost $0.59 at my Kinkos. And, if you're out of white cardstock, you can purchase a sheet from them for around $0.25. Easy, peasy! 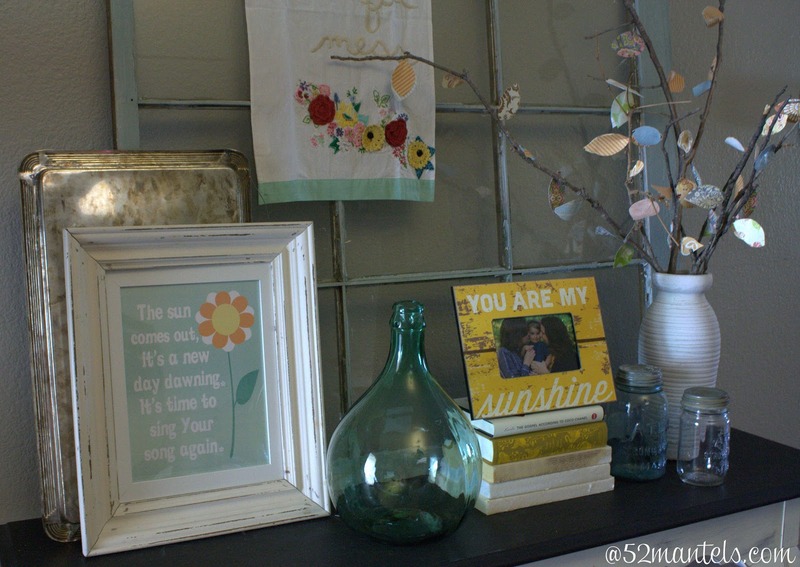 I added this printable to a Springy vignette in my entryway. Don't you love my green demijohn?? It's an Italy souvenir from my sister-in-law. She got it at an antique store in Vicenza and then gifted it to me :). Yay!! You're so welcome! Thanks for coming by! I love the printable!! Thanks so much!! I LOVE it and it's the perfect addition to your spring vignette! Thanks for sharing, Emily -- printing to frame and put on my desk! Yay! So glad you can use it, Heidi! Thanks for stopping by! I love that song! What a cute printable! LOVE that song and what an adorable printable Emily!!! Thanks for sharing! Thanks so much, Bonnie!! You are sweet :). Thanks for coming by! Looks so cute on your table, love your branches too - I made paper leaves last year and glued them to branches from my yard, a quick and easy decoration! I've never heard of a demijohn before but it sure fits in with your decor! I love your branches too!! I saw them tonight. So pretty! Emily what a beautiful printable!